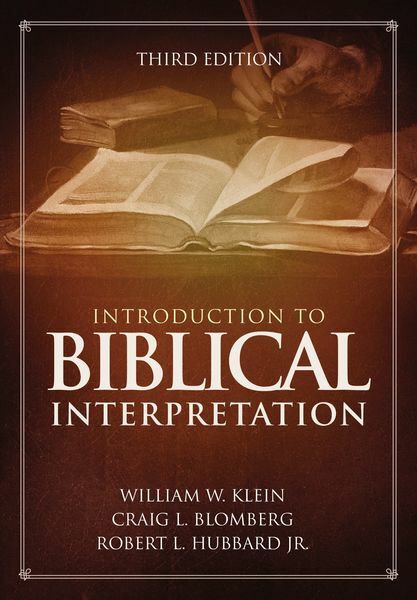 Introduction to Biblical Interpretation, now in its third edition, is a classic hermeneutics textbook that sets forth concise, logical, and practical guidelines for discovering the truth in God’s Word. With updates and revisions throughout that keep pace with current scholarship, this book offers students the best and most up-to-date information needed to interpret Scripture. Used in college and seminary classrooms around the world, this volume is a trusted and valuable tool for students and other readers who desire to understand and apply the Bible.